Preventing costly failures and malfunctions is extremely important in the field of energy generation and energy distribution in particular. Thermal imagers from Testo enable you to detect and analyse thermal irregularities efficiently and safely. You can optimise the security of supply and also the safety of your system. Avoiding the failure of power distribution systems is absolutely essential due to the far-reaching consequences. Faulty connections on high voltage masts can be particularly critical here. Renewable energy is increasingly being used in energy generation. 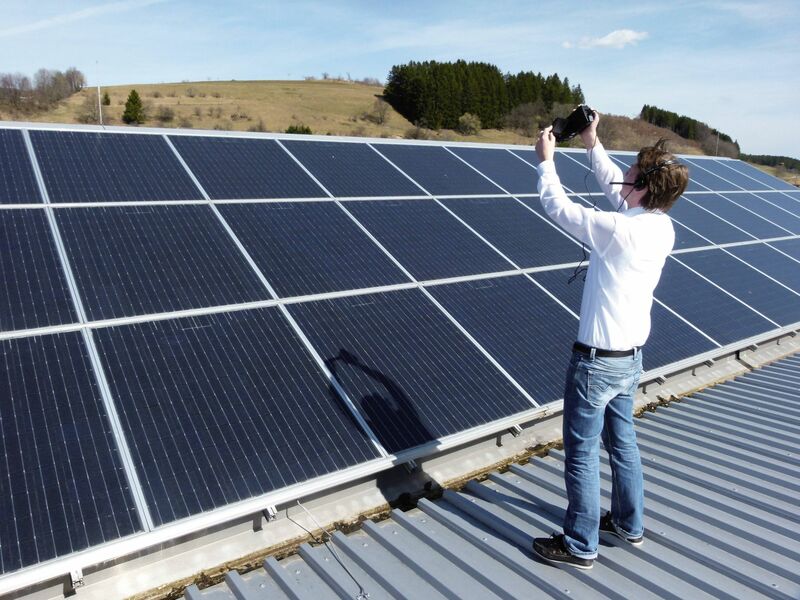 In-depth inspection of large photovoltaic plants is essential in order to be able to operate these systems with optimum efficiency and to guarantee permanent energy distribution. Testo thermal imagers are able to detect thermal irregularities in these systems quickly and efficiently.